Capital gains tax is a tax imposed on capital gains or the profits that an individual makes from selling assets. The tax is only imposed once the asset has been converted into cash, and not when it’s still in the hands of an investor. For example, assume that an individual owns company sharesStockWhat is a stock? An individual who owns stock in a company is called a shareholder and is eligible to claim part of the company’s residual assets and earnings (should the company ever be dissolved). The terms "stock", "shares", and "equity" are used interchangeably., which increase in value each year. In this case, no capital gains tax will be levied just because the shares are appreciating. The only time the capital gains tax will be imposed is when the individual decides to sell the shares for a price higher than their purchase price. In the majority of countries, tax regulations stipulate that capital gain taxes can be levied on investors’ gains. In Canada, for instance, the law requires individuals to pay at least half of their marginal tax rate on profits earned from asset disposal. Similarly, in the United States, both residents and companies incur capital gain taxes on their yearly net capital gains. Ideally, a capital gain tax is levied on any person or firm that decides to sell an asset for profit. The only exception is for day tradersDay TradingThe main feature of day trading is that the purchasing and selling of securities occur within the same trading day. It means that all trading positions are liquidated by the end of the day. The main goals of day trading are discovering and leveraging short-term market inefficiencies., who engage in the buying and selling of assets to make a living. As for the day traders, the profits they make are taxed on the basis of their business revenue rather than capital gains. It’s also important to note that capital gain taxes are levied on different types of assets, whether they are stocks, bonds,BondsBonds are fixed-income securities that are issued by corporations and governments to raise capital. The issuer borrows capital from the bondholder and makes fixed payments to them at a fixed (or variable) interest rate for a specified period. What is an Indenture? An indenture is a binding contract between an issuer or real estate property. One thing that firm owners need to keep in mind is that assets are not taxed equally, especially when it comes to investment incomes. The amount of tax levied will depend on the asset’s holding period. Essentially, there are two kinds of profits that a company can make when it disposes of an asset: long-term capital and short-term gains. Long-term capital gains arise when investments or other assets are held for a period of more than 12 months. In contrast, short-term gains are realized on investments held for less than 12 months. Take the example of a shareholder who buys 150 shares of stock at a price of $20 per share. Six months down the line, he decides to sell them at a price of $25 per share; hence making a profit of $750. The profit is classified under short-term capital gains. Differentiating between these capital gains is crucial because the two are taxed differently. As seen in the outline above, the long-term capital gains rate is determined by one’s marginal tax rate, which is then dependent on an individual’s incomeRemunerationRemuneration is any type of compensation or payment that an individual or employee receives as payment for their services or the work that they do for an organization or company. It includes whatever base salary an employee receives, along with other types of payment that accrue during the course of their work, which. That said, disposing of long-term capital gain assets during “lean” years can help reduce the capital gains tax. Situations that may cause a decline in an individual’s income include approaching retirement period, quitting, or loss of employment. Selling assets at such times can minimize the amount of capital gains tax levied. 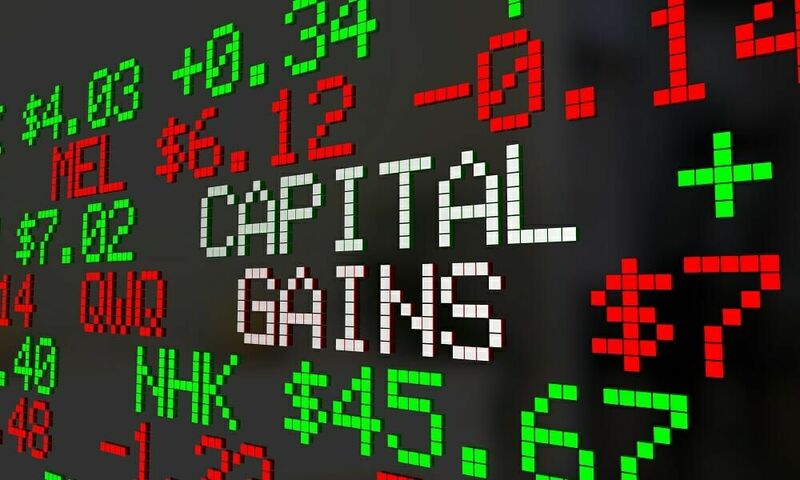 In any given period, capital gains are used to offset capital losses. Let’s assume that an individual owns two types of stocks: A and B. When he sells stock A, he makes a profit of $60, but when he sells stock B, he makes a loss of $30. His net capital gain is the difference between his capital gain and loss: $30. By using capital losses in the years where he made capital gains, an individual can lower his capital gains tax significantly. Even though individuals are required to report all their capital gains, the tax to be levied is computed on the net capital gain. A capital gain occurs when the sales price received from disposing of an asset is higher than its purchase price. A capital gains tax is that tax imposed on the profits made from such sales. However, there are a few tricks that can be employed to lower the amount of capital gains tax imposed. They include holding assets for a longer period before selling them, disposing of assets when their income is low, and using capital losses to offset the gains.